Skiing, hiking, fly-fishing, and mountain biking are all out our back door. You will find room to explore new adventures, new opportunities, and your dreams – all here in Big Sky Country. One look, and you’ll see it. A rugged kind of beauty, overflowing with opportunity, that only a campus and a Montana setting like ours can deliver. Every day here brings the promise of a new challenge. It’s a boundless experience that will challenge and inspire you in ways you simply won’t find anywhere else. The Rocky Mountains. The Missouri River. Lewis and Clark National Forest. The Continental Divide Trail. More than 75 miles of hiking and biking trails just minutes from campus. At Carroll, you’ll have access to some of the most pristine and opportunity-rich areas the world has to offer—right outside your door. Not to mention Yellowstone National Park and Glacier National Park, just a few hours from campus. 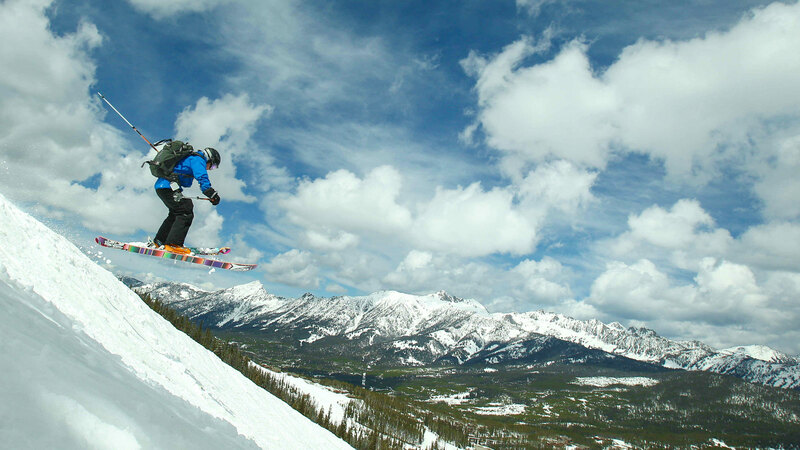 Skiing, snowboarding, whitewater rafting, fly fishing, rock climbing, mountain biking—pick just about any outdoor sport and our students enjoy it. The Carroll Adventure and Mountaineering Program (C.A.M.P.) offers students a huge range of opportunities for outdoor fun—weekly outings around Helena and longer trips just a few hours away to Glacier and Yellowstone national parks.